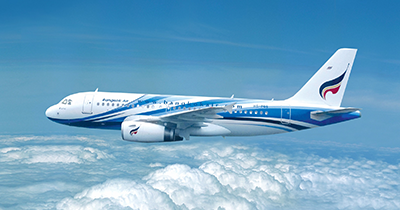 Bangkok Airways offers more flexibility for your business trips. We are a full-serviced airline that operates more than 100 flights to 23 destinations on domestic and international routes every day. If you are expanding your business to Myanmar or Cambodia, we operate direct flights from Bangkok to Nay Pyi Taw in Myanmar and Phnom Penh in Cambodia. Our Corporate Travel Program will not only help you or your company save budget but would also make it more convenient to book flights through travel agents. You are free to choose any appointed travel agent, to arrange tri-party agreement and assist in making travel plans. For further information on other benefits offered by Bangkok Airways’ Corporate Travel Program, please complete the form below. Our corporate sales team will get back to you as soon as possible.